You just don’t sit around waiting on a dental emergency to happen. Instead, it catches you when you least expect it to. If you don’t have dental insurance, the situation can be even more daunting. As you read on, an emergency dentist discusses some strategies that can be used to respond to dental trauma whether you have insurance or not. A dental emergency is any situation that results in a sudden decline in your oral health. Some of the indicators can be intense bleeding, severe tooth or jaw pain, or a broken or knocked-out tooth. The way you respond within the first few minutes will have a big impact on your ability to recover. While preventing dental emergencies from happening is always the primary goal, it’s best to have a strategy for how to respond. Let’s look at some of the more common types of dental trauma. A severe toothache is usually the sign of advanced bacteria growth that has reached the more sensitive areas of your tooth. You can apply a topical numbing ointment to reduce the pain. Then, by applying ice to your jaw in 20-minute increments, you can reduce any swelling. At the first sight of a broken tooth, you should rinse with warm water. You can then apply a cold compress directly to the tooth to reduce any swelling. If a tooth is knocked-out, first rinse it with either milk, water or saliva to remove any debris. If you’re not able to reinsert the tooth, then let it rest in a cup of milk or water until you can receive professional care. If you suspect your jaw is broken, you should immediately head to the emergency room. The first priority if you have a soft tissue cut is to stop the bleeding. One way to encourage this is to clean the wound and apply a cold compress to the area. If the bleeding lasts longer than 10 minutes, then you should head to the emergency room. What Happens if You Don’t Have Insurance or a Dentist? Dental insurance and professional dental care provided by a local dentist are essential to your oral health, but they are especially important when you have a dental emergency. If you’re not working with a dentist at the time of an emergency, then you have to rush to find any professional to work with, and you have to figure out how you’ll pay for the services you receive. What’s the Cost of Emergency Dentistry? For people who have dental insurance, their contribution towards dental emergency fees can be up to 50% of the total cost. For patients without insurance, though, they’ll have to pay for the entire procedure out-of-pocket. However, there is the option of in-house benefits. While this has to be set-up before a person has a dental emergency, it allows for the establishment of a care agreement directly with the dentist. Some of the available benefits are access to preventive care, which includes X-rays, examinations and cleanings. Another essential benefit is that one emergency examination is offered. Thus, if any form of dental trauma occurs, there is an avenue to receive the care needed. To protect yourself from a dental emergency happening without you being prepared, contact your local dentist to establish a relationship today. 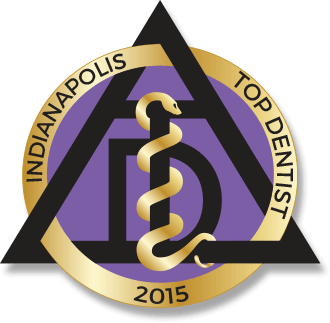 Dr. Mark M. Farthing earned his dental degree from Indiana University School of Dentistry. For nearly 40 years, he has been providing the absolute best in dental care. Dr. Farthing helps patients of all economic backgrounds recover from dental emergencies at Indianapolis Family Dentistry, and he can be reached for more information through his website.